Safety Nets For Life® is committed to bringing alternatives to help parents protect children from the dangers of heights. 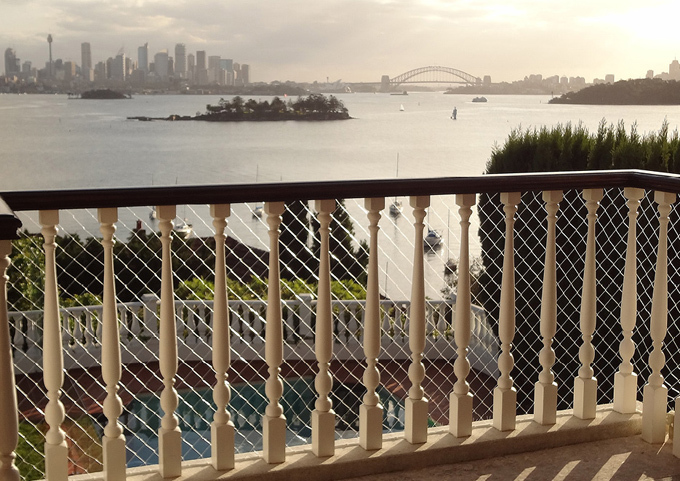 Safety Nets For Life® safety netting system is a concept we are proud to bring to Australia. The system was developed by an architect (and mother) from Argentina. She wanted to find a way to prevent accidents without compromising the appearance of her home. Balcony bars were definitely out of the question. Her goal was to come up with a safe, high quality product that could protect her family but would still allow them to use the balcony or windows as an escape route in case of fire or earthquakes (her family was living in Chile at the time). And so the idea was born. It took her team almost 10 years of research to develop this innovative, top quality product. Safety Nets For Life® is a self-installation kit, which includes the net (cut to measure to suit your area), polyamide anchorage strips, stainless steel screws and plastic anchors, as well as a detailed installation guide. The system has been tested and approved by Argentina’s key national industrial technology authority INTI (Instituto Nacional de Tecnologia Industrial in Argentina) and by the International Construction Institute AIDICO (Instituto Tecnológico de la Construcción in Spain). BEWARE of imitative Companies, trying to imitate our system using nylon based netting, non weather resistant attachments and improper installation procedures, which will lead to an enormous danger. The anchorage strips are made of anodised aluminium. • Ageing trial as per ASTM D 4329 – 09 and ASTM G 154 – 06 rules.